We had a huge response to our "Space Pirate" Character Design Contest, thank you all very much! I saw a number of new folks entering for the first time as well, and I wanted to be sure to extend a warm welcome to them. I hope we see you around here for a long time to come! By way of introduction, I have downloaded all of the submissions and looked through them each. Because there are so many (101! ), I can't possibly show them all. Instead I go through and single out those entries that have something really special or unique about them, and show those in a gallery. Those are our Finalists, and I pick the overall winner from that group. Sometimes it's for the overall impact of the illustration, but sometimes it's just for one element that I liked a lot. If your entry isn't one of the Finalists, that doesn't mean it wasn't good (even VERY good), or that I didn't like it, or that you're a bad person. I just have to limit them to a manageable number and, like on American Idol where sometimes great performers get cut, some fine illustrations will get left by the wayside. That's why I encourage everyone to go through the original submissions one by one, because you might just find your favorite there that I overlooked. I like Alvacascus' environment and clothing a lot, but something about the head threw me. I couldn't quite fit that in with the rest of the design. Ariana Iris didn't put a link directly to the image so I almost didn't count it, but Tarkabarka was nice enough to do so later in the comments. Which is good, because this was a nice character. I dug Atomic Punk's ice asteroid. Neat effect! BornToBeALoser's "Kraken Starsea" echoes "Pirates of the Caribbean" a bit but it's still a nice looking image. Cliff's tiny little shoulder-mounted pirate wench was too cute not to include. I also dug Gendonesia's mech parrot, and that background is great. Headlessgeneral's "Damian" and "TheShade" both look like badasses. Kaylin88100's "Space Pirate Girl" has a nice, simple color scheme that works well both in the character and in the background, yet avoids making the two blend together too much. Kytana's "Space Pirates" has so much dynamism and cool stuff going on I hardly know where to start. Awesome. MadDoctor's fat space robot pirate has a ton of charm. And that parrot freaks me out. Marquis Samedi' group shot rocks, and that boat is out of this world. See what I did there?! Seriously, that pirate ship is fantastic. Myro's big bad space blob was funny and made me laugh. Not easy on a busy Monday. I love the way Rancid's entry feels piratical with the mishmash of parts and the generally grungy look. RobM's "Jolly Roger" is scary. roccopio_cuccurullo's "KALI" is clean, simple, elegant, and appealing. I liked Sohier-Legand's interior. The green guy's eye keeps following me around the room, too. Brrrr. SpellCheckingQuill used a neat pose and very effective coloring to make an impactful scene. Tarkabarka's "Magloria" is outstanding. I love the playfulness, the character design, the background, and the overall feel. Great work. Tool's "Space Pirate" hits all the right notes, from the nice background to the booty to the great Jolly Roger flag. Both of Trekkie's entries are awesome. I love love love those backgrounds. And the juxtaposition of the wooden spars against those backgrounds is very effective. Plus, the characters themselves pop with personality. Vampyrist's "Avlar" is just old-fashioned cool. I thought XavierKing5's robot pirate was a nice example of the concept. Looking back through those, a few really stood out even among the standouts. Namely, I think Kytana, Rancid, and Trekkie all have just a hairs-breadth separating them. They're all fantastic illustrations, making it very difficult to choose just one. But, I have to, and so the overall win this time around goes to ... Trekkie! Congratulations! Let me know what you'd like for your prize and I'll put it on The List. I believe this is Trekkie's first win after many many Finalist entries, which makes me super happy. Thanks again to everyone who made an entry, and welcome once again to our newcomers! Stay tuned for a new contest later in the day that will really knock your socks off. Congrats Trekkie! Like I said in the forum, very cool characters. Also enjoyed Kytana, Marquis Samedi, Headlessgeneral’s pics! Great job everyone! Gratulation, Trekkie(-fan) for your first(?) win. I like the first mate, the background is very awesome. And so many great entrys here. Gigantisch. I was completely blown away by more than a few of those submissions! Everything from the color schemes to the settings to the actual characters showed off how talented these designers are! Before I give my humble opinion, I want to clear out that I’m not looking to give you Jeff or anyone else any crap about anything. Although I see many entries that were a lot better than mine, looking at the finalists I strongly believe that I have a couple that should’ve been there taking the place of a couple that really don’t “say” much. MaDPac, a couple of yours were really close to being Finalists, I’ll say that. And not every Finalist has to “say” something. Occasionally it’s just one really nice element that catches my eye and I want to show off, like with Atomic Punk’s nifty ice asteroid. Wow! Thanks so much Jeff! And you’re right- my first contest win! There were so many great entries, and I really loved looking through them all. Some of the character designs and backgrounds were stunning! So, for my prize… I think I’d like it to be a mask like Impulse’s, and you can change the transparency on the lenses. Maybe there could be shading done in the same style as the inking, so it doesn’t look flat? Thanks again for the win, and congrats to all the other finalists! Now that i call well reserved Win. I REALLY gratulate for Trekkie. Thanks Jeff for the mention. And Gratulate the other finalist. I made a joke for her name. I call her Phantas Magloria – Phantasmagoria. I knew as soon as I open Trekkie’s pics that they were favorites to win. Great job, Trekkie! Congrats! Great job, everyone, as usual! Congrats, Trekkie! Great work. Kytana’s blew me away too. And congrats to everyone else as well! 1. The Chosen One can choose one new item to be created for any existing category in Hero Machine 3 with the exception of these categories: Backgrounds, Companions. I also reserve the right to exclude monster bodies, but you can try me on this one. Sometimes I will take the bait. 3. I reserve the right to ask the Chosen One to pick another item if the request is beyond my ability or inappropriate for Hero Machine 3. 4. Reference images or a really good description must be provided so I can fulfill the request with the minimal amount of heartache and frustration. So there you have it. As many of you are familiar with my contributions you know I can handle a wide range of art requests so don’t let the guidelines scare you. I do have limitations (damn you, Human Hair!!) so please be understanding if I have to decline a request. Alright, TOOL. Let’s see how sharp you are. CHOOSE WHAT MUST BE CHOSEN! Congrats Trekkie. I loved your series of space-breathing pirates in wooden starships, and you’re probably who I would have picked if I had to judge this thing. And thanks for the mention, Jeff, I’m just happy with that. I almost didn’t enter, having injured myself last week, and didn’t feel up to HeroMachining in my spare time. Thankfully, almost all the pain was gone by Saturday, and I went on a HM blitz. I didn’t really think I had the chops to win this, but I thought that a pirate eaten by a slobbering space blob would at least be funny. @ DBlade, Alright, LOL yeah it makes the frown turn upside down from the PIP Quiz. Let me get back to you, it will be soon though, I have had different ideas floating around my head now I just have to decide. @Jeff, Hey can you repost the list of current items you are working on or next to come up for creation. I just wanted to relook at those too for ideas for my random prize. If I can’t decide I may just ask for something off the list. @Jeff, Hey can you repost the list of current items you are working on or next to come up for creation.I just wanted to relook at those too for ideas for my random prize.If I can’t decide I may just ask for something off the list. Here’s the replacement prize list I posted a couple of weeks ago. 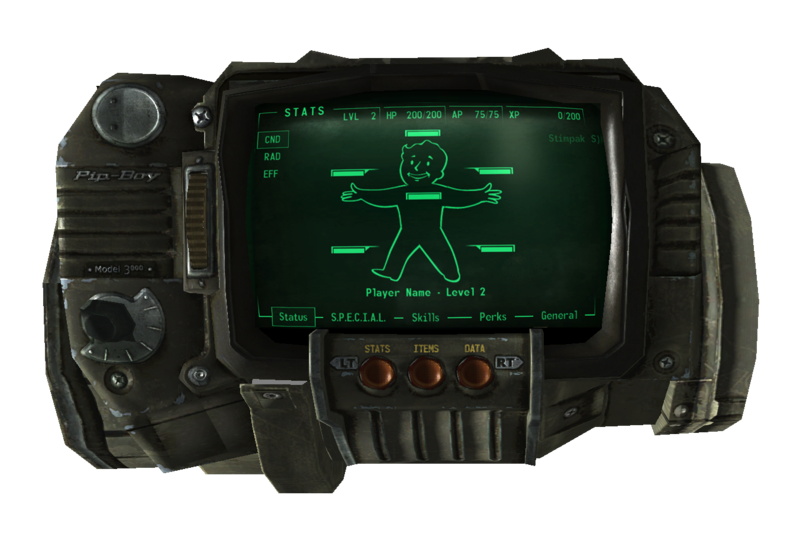 @DBlade, I got something, a PIP BOY 3000, heres a picture for reference. I’ll see what I can do. I will post this to my thread in the UGO forum when I complete it. I have an Assassin’s Creed hidden knife thingy to do first and then I’ll get this one going. Great job, everyone. I’m honored to be chosen in the finalists, consitering this is my first entry on anything here at HeroMachine, and there were several other great pieces that weren’t chosen. All of these, however, are spectacular. Again, great job everyone, and you’ll be seeing a lot more of my creations in the future. @DBlade, Thanks, if you can’t do it or wont come out right just let me know and I will come up with a different idea. This is a pretty straight forward reference piece so the illustration shouldn’t be too hard to create. 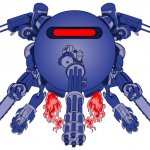 Check out my UGO forum thread for updates. And by the way, the first draft of the assassin’s hidden knife is up for viewing. @DBlade, How do I get to that? My thread is in the Hero Archives section. It’s called dblade’s Whiz Bang Item Dispenser. This is where I post all of the drafts of my working items. @DBlade, Assassin style arm blade looks pretty cool!